Galette is a French Pastry,which I think is more like a pie made without a pie pan.Its flaky crust is achieved by using good amount of saturated fat(here I use only the best kind) and not over mixing the dough.Any kind of fresh tart fruit makes an ideal filling. Pluots(a cross between plums and apricots) are still in season before the pumpkins invade,I thought why not make a simple dessert requiring not much effort.Really needed only few minutes to put together and the oven does rest of the work.This is lightly sweetened like most of my desserts,the almonds and semolina form the delicious layer over the dough to soak in all the fruity juices,a very unique idea I borrowed from roopa's recipe. To make the pastry dough ,sift together the flour and salt in a large mixing bowl.Add the butter or ghee or coconut oil to the flour mixture,combine well using hands or use a processor,add water and mix until the mixture comes together.Cover and set in refrigerator for 30 minutes. Mix the almond meal ,sugar and semolina in a small bowl and keep aside. Unwrap and start rolling on lightly floured work surface,when about 10-12 inches wide along the diameter,spread the almond mixture leaving 2 inches near the edges clean.Now place the sliced pluot slices in a flower pattern and fold the edges,sprinkle with granulated sugar if desired.Transfer on to a baking sheet. Bake in 375F oven for 25-30 minutes until edges are golden brown and fruit is tender. 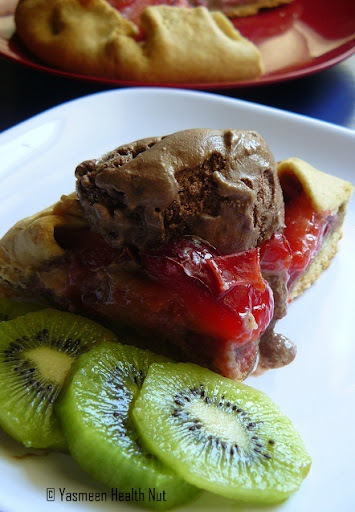 Cool few minutes,slice and serve with more fresh fruit and dollop of low fat chocolate ice cream. 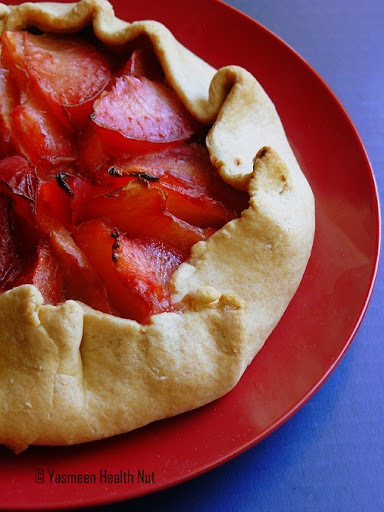 Your galette looks really delicious with all the gorgeous fruits stuffed into it! 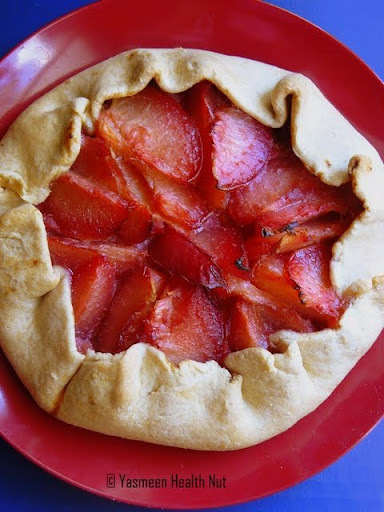 Galette's are such great way to make a delicious dessert with tons of fruits and no work! I was going to make a fig galette today. Love it! You always amaze me with how you manage to adapt and incorporate healthy ingredients into your recipes. looks fantatstic! I have only recently come to 'discover' pluots! I found them in a farmer's market and they are delish!! This recipe looks insanely good. Just one quetsion. I don't have wheat flour. Can I use all purpose flour? I know I may lose out on the nutty taste...but I hate to go looking for whole wheat flour to make these. And I wanna make em today! I love a good galette and am so going to miss all of these fruits when they're out of season! Way to make a final push! Looks delicious. 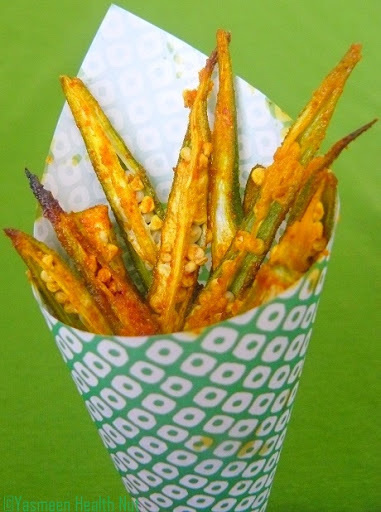 Gorgeous, I have a bag of these in my fridge - thanks for sharing. Simply delicious and droolworthy galette.. I love how rustic galettes are and yours takes the cake! YUM. I have to make this for my husband, he loves stone fruits. looks very healthy yet delicious! 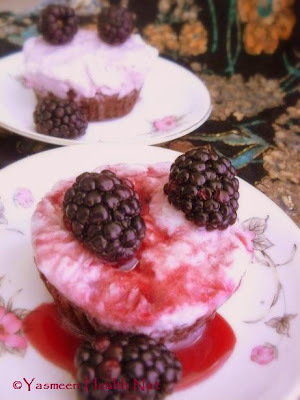 This is one of my favorite simple desserts to make. I like that galettes really allow the sweetness and flavors of the fruits to shine. 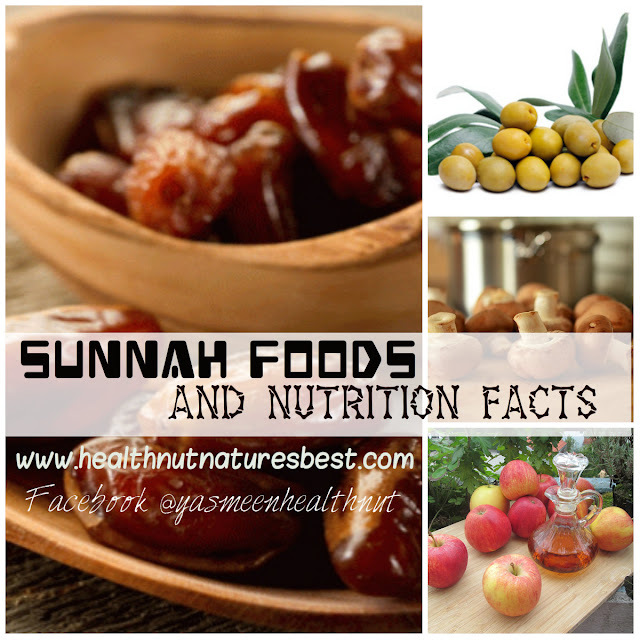 this was nice website to see about all the food items. I love galette.Thanks for sharing this interesting information.Definitely it will helps me.I will try its some recipe in home to keep healthy body.Keep update it! Thought you might like to know that this site: http://www.lifehealthful.com/ seens to be stealing a lot of your (and others) posts, whole. They have no comments enabled so I couldn't even leave them a nasty one! I like galettes a lot, because they are forgiving in terms of shaping them and I think the folded pastry all around looks very nice. 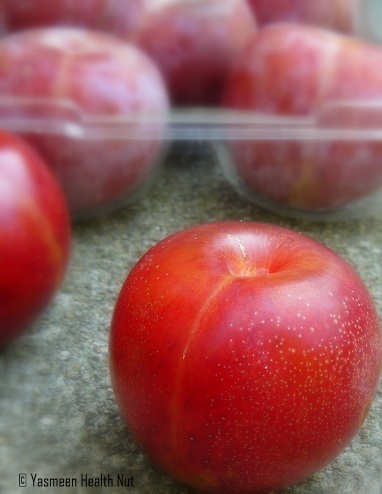 I love the color of the pluots. A very nice dessert, indeed. Thank you for participating. Have never heard of pluots - they sound lovely!